Beer plus pizza is obviously one of the most sublime food/drink pairings known to humankind, but both elements of that sacred combination can vary greatly in quality depending on where you source them from. 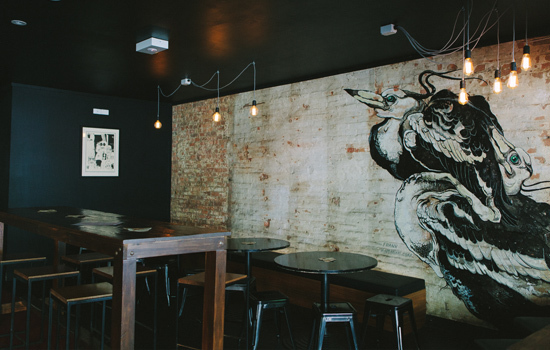 Brewski, at the top of Caxton Street, is one place in Brisbane where you will find both fine beer and scrumptious pizza living together under the same roof. Consider it the polar opposite experience to washing down a Dominos Hawaiian with a few tinnies of Foster's. As you may surmise from the name, these guys take their beer seriously. 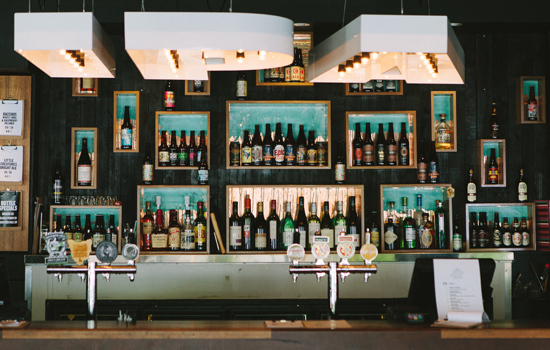 Craft beer flows from no less than eight taps, with frequent rotation ensuring you're much more likely to get sozzled before you ever get bored of the selections on offer. There are also dozens of different kinds of bottled beer to choose from. Ahem, drink responsibly, kids. As the giant light-bulb sign above the bar suggests, IPA is one brew that appears frequently, but you will also find ciders, wheat beers and some more unique concoctions like Bacchus Brewing Co's White Chocolate Raspberry Pilsner which, despite some initial trepidation on my part, ended up being my personal favourite of the lot. A critical element for an authentic beer bar is having bartenders who know their ales from their lagers, and the staff at Brewski are not only well-informed, they're particularly helpful as well. 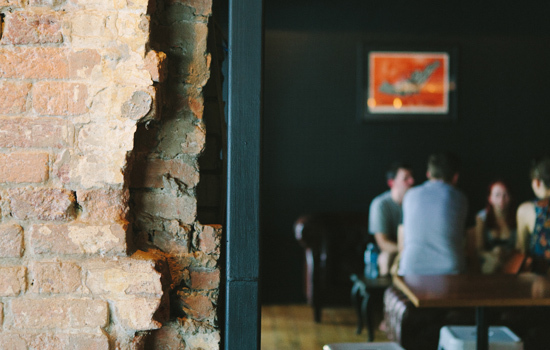 They will gladly allow the punters to taste test the treats on tap and guide them along with sage advice as well. And, just in case you were wondering, yes, there is also a solid selection of wines and spirits if beer is not your thing. Have I mentioned the pizza yet? Mark Ryan, of Golden Pig fame, has created eight pizza varieties to choose from, and as the sign so eloquently states, they're 'proper' pizzas. There's nothing over the top here, just simple combinations made with prime ingredients. With such tempting tastes as the Three Cheeses (mozza, gorgonzola and goat's cheese) and the Prosciutto (mozza, rocket, parmesan and prosciutto), you're likely to have as much trouble as I did deciding which one to get, but the results are predictably delicious. The best part is you can procure one of these individual pizzas for a tenner during lunch hours every day, as well as Tuesday and Wednesday evenings. 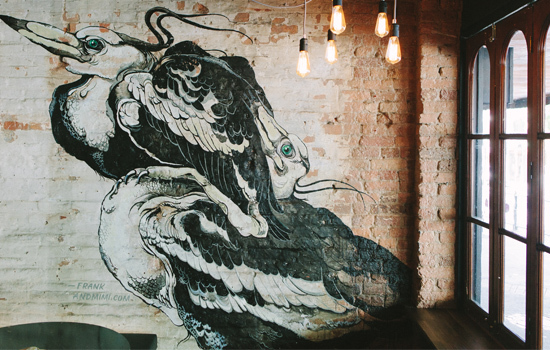 Brewski makes the most of its smallish space by merging into the Cacko Street hubbub with long outside bench tables, while there is a little space out the back to complement the main front bar with its combo of high tables and sofa seating. The design is rustic enough to represent a crafty (as in hand-made, not scheming), laid-back vibe, without making the all-too-common mistake of trying too hard. Beautiful wall art by Frank+Mimi perfectly suits that mood and, like Lebowski's rug, really ties the room together. 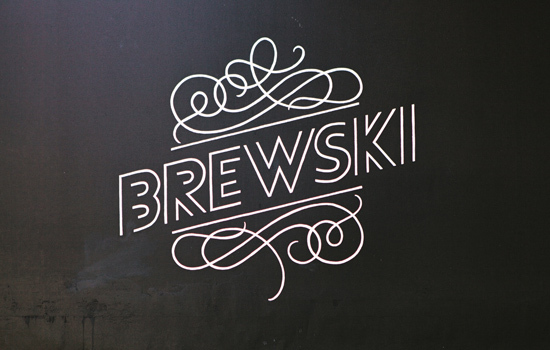 Brewski is a place to chat with friends and/or mingle with fellow beer aficionados in a congenial atmosphere, and it fits very nicely into the developing Relaxton Street scene.